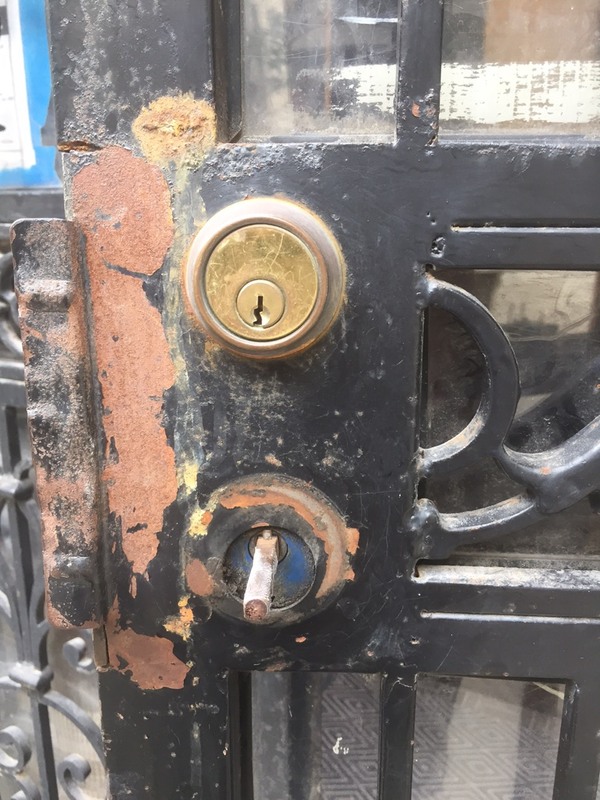 On this little project we've replaced a very old lockset on a security metal gate on the Upper West Side. The gate and the locks weren't functioning because the frame had to be adjusted and the lockset and cylinder replaced. 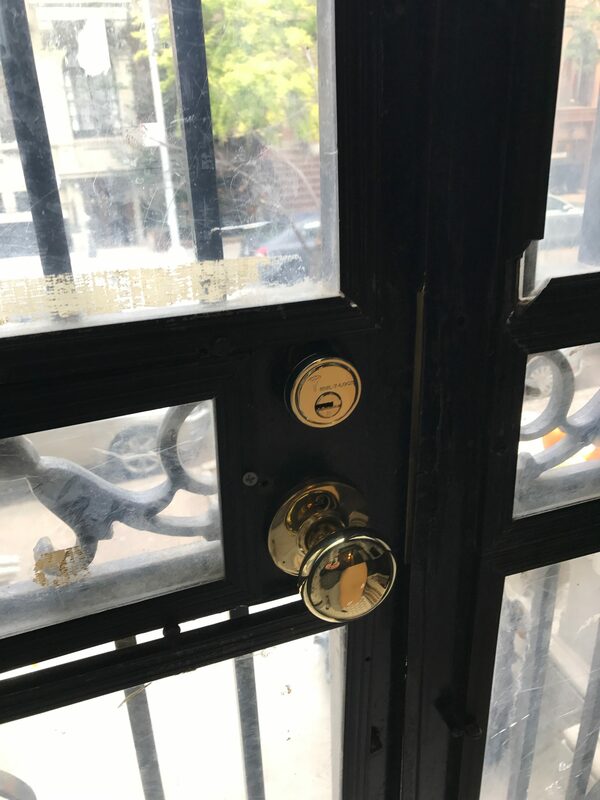 After we've finished with the gate and the frame, it had a new strike plate on the metal frame, a new mortise lockset narrow style on the gate and a new high security Mul-T-Lock cylinders on the lockset.